I have rarely, if ever, felt so empowered to improve my own teaching and to help others improve theirs. 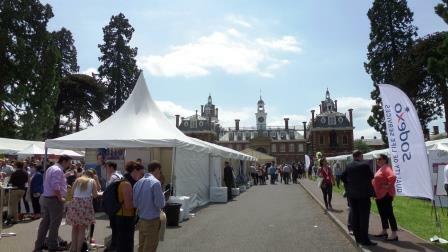 I have just spent two days at the Sunday Times Festival of Education, and it was simply amazing. And when the great man did appear. He did not get booed, slow-clapped or hissed at, and he did not treat his audience of educators with thinly-veiled contempt, all of which I had feared I might witness. Instead there followed an hour of respectful questions and answers in which Gove revealed a far greater grasp of education than I had previously credited him with, and far greater respect for teachers too. I wouldn’t go so far as to suggest that he won over his audience entirely, but he certainly made a much better impression on us than I would ever have expected. There was a fantastic vibe at the whole event: I spoke with a diverse range of people with all sorts of different interests in education, and yet we all seemed to be equally excited about learning, and equally stimulated to improve our practice. The positivity of everyone I met was a great advert for the profession, and left me feeling truly invigorated – which is no mean feat at this stage in the year! In due course I hope to share insights from the various workshops, lectures and panel events I attended. There was so much to see, hear and do, that I had to forego many opportunities I know I would have enjoyed. I would have been really interested to hear Michael Wilshaw, Kenneth Baker, Estelle Morris, David Blunkett, Melvyn Bragg, Andrew Adonis, Ruby Wax, David Baddiel, Ian Livingstone, Lauren Child, Rob Coe, Rachel Jones, Dan Edwards, Geoff Barton, Laura McInerney, Kris Boulton, Joe Kirby, Tom Sherrington and of course Johhny Ball (a childhood hero of mine). Richard Dawkins and David Starky were also at the Festival. So, who did I get to see, and what were they talking about? 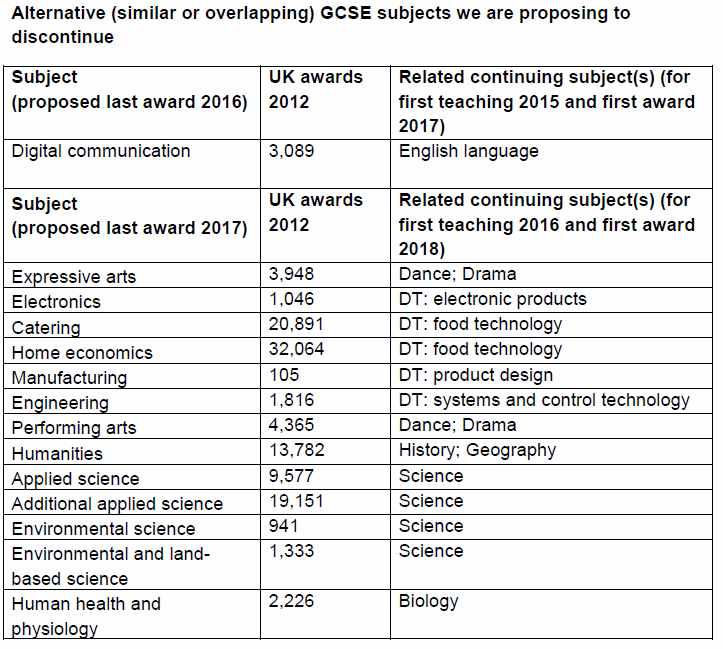 How will GCSE grades be awarded in the future? 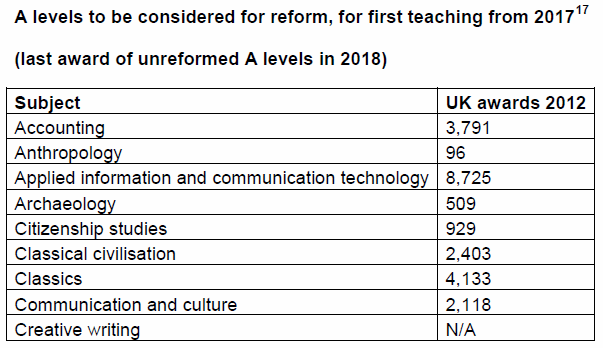 As you know, from summer 2017 onwards, some GCSEs will be assessed on a scale of one to nine rather than A* to G. You’d be forgiven for thinking this change is purely cosmetic, with A* becoming 9, B becoming 8 and so on, but the reforms will be much more significant than this. 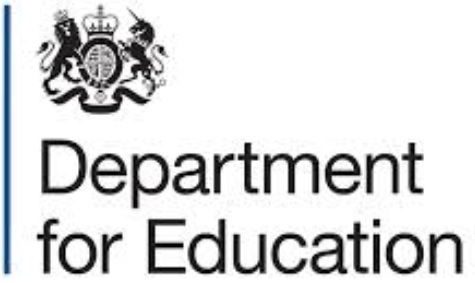 Ofqual has just launched a consultation on the current proposals: these are summarised in this article. Under the new system the level of ability currently awarded a grade C will be awarded a level 4. This means that those who “pass” their GCSE could be awarded one of six grades (4, 5, 6, 7, 8 and 9) rather than one of four grades (C, B, A, A*). This will provide greater differentiation in the middle and top of the performance range. 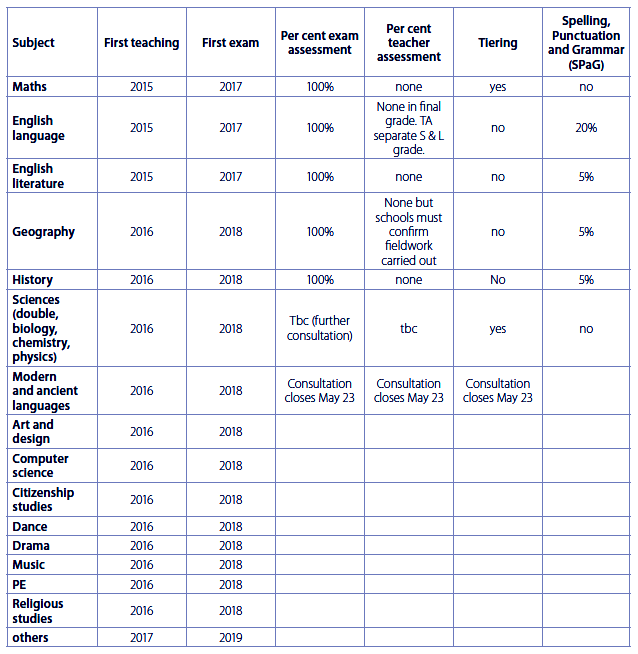 However, grade 5 will probably be regarded as the new “pass” in order to bring English examination standards in line with the international PISA tests. In other words, the bar will be raised. 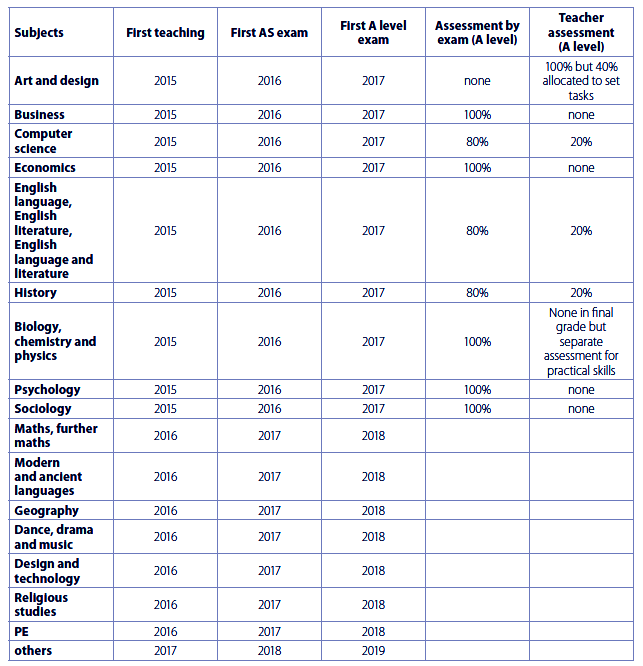 As this table suggests, at the top end of the ability range grade 9 will be awarded to only about half the pupils achieving an A* under the current system (some 20,000 out of around 250,000 candidates in total). Meanwhile, at the lower end of the range a grade 1 will be broadly equivalent to both grades G & F.
So that examiners will have a reference point for differences in ability between year groups, a sample of pupils will also take a new the National Reference Test to monitor the performance of each cohort. These changes will begin with maths, English language and English literature. 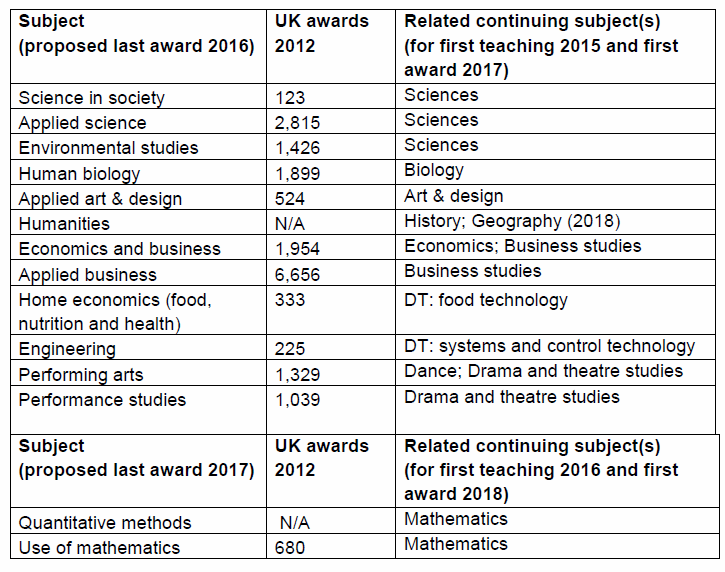 Other subjects are expected to make the switch over the course of the three subsequent years, with history, geography and some sciences likely to be in the second wave. If you would like to learn more about the proposals or even take part in the consultation, click here. To see an earlier post on how schools will be held to account for the grades their students receive, click here. What will League Tables look like in the future? The percentage of pupils gaining the English Baccalaureate. So, how will these figures be arrived at? 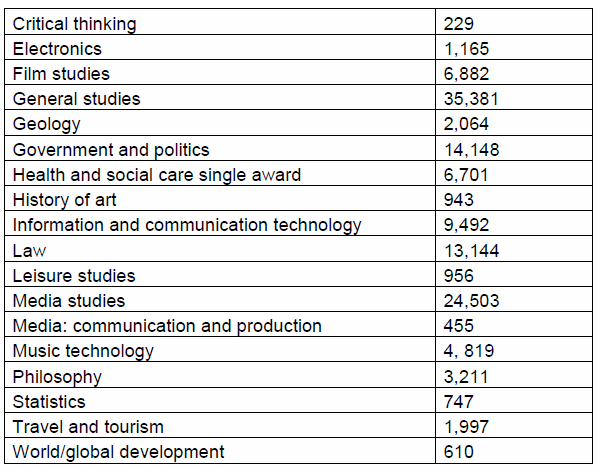 The candidate’s best results in up to three “open” subjects. This includes all other full GCSEs, established iGCSEs, AS-levels and various qualifications from the wider DfE Level 3 list. 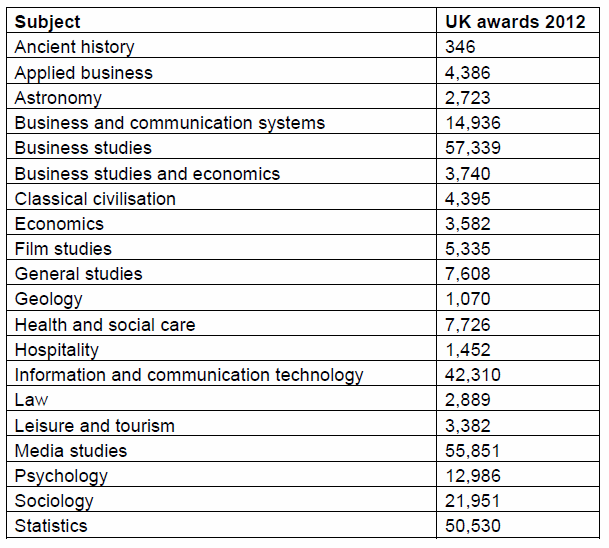 This list covers courses in Art, Music, ICT, Hospitality, Sport, and more besides – click here to see it. How will “Progress 8” and “Attainment 8” be calculated? In 2016, 1 point will be awarded for a GCSE grade G, 2 for an F, and so on up to an 8 for an A*. 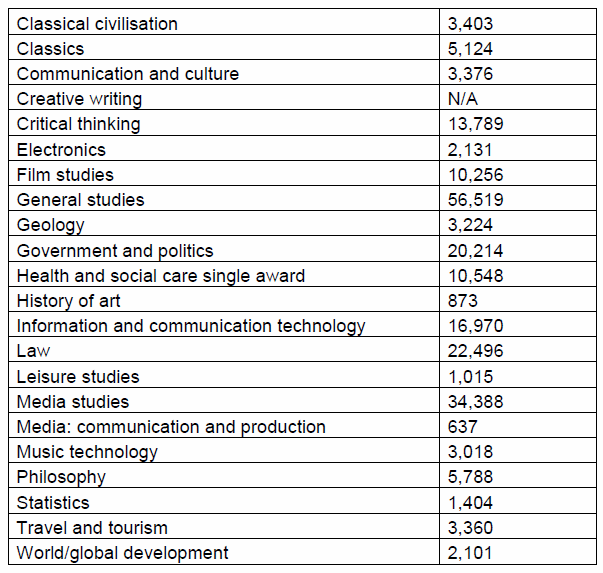 In this points system, Maths will be double-weighted, along with the best result of English Language and English Literature (provided a pupil has taken both these English qualifications – the second best score of English Literature and English Language can then be counted in the “open” subjects, assuming it is one of the pupil’s highest scores in this group). Attainment 8 will be determined by dividing a pupil’s points total by 10, regardless of how many qualifications the pupil sits. If a student receives fewer than eight qualifications, or sits qualifications which do not match the requirements outlined above, then they will score 0 points for each unfilled slot. Once calculated in this way, the score for their best 8 subjects can then be reported as an average grade , e.g. A*, B-, C+. Progress 8 is more complicated as it looks at value added. It will analyse a pupil’s average KS2 point score and use this to predict eventual KS4 results – e.g. 8 passes at grade C. Pupils who exceed these predictions will receive a positive score. The way in which this is all calculated will change year on year through to 2019, as other government reforms come into effect and as the data becomes more reliable. For a fuller explanation of Progress 8, click here. 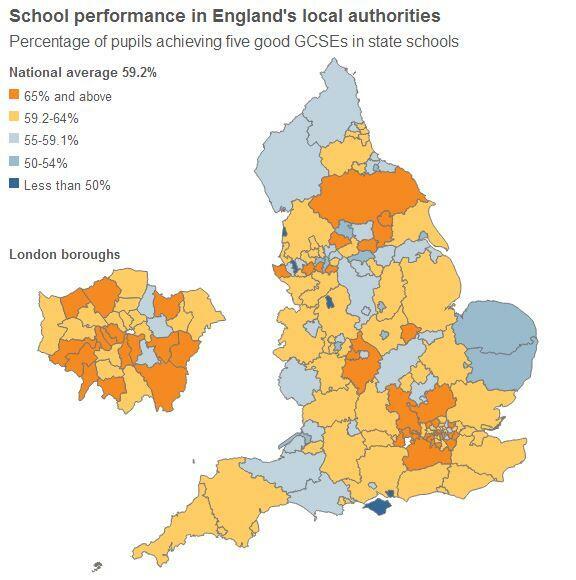 This map shows the 2013 GCSE results in each authority in England. Click on the image to enlarge it. For more details click here.